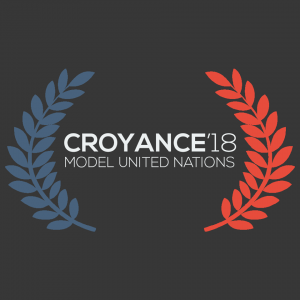 To apprise the students on various current, social, international issues and to acquaint them with the functioning of the United Nations Organisation, Croyance in collaboration with Mayur Public School organised MUN Conference in the premises of the school at I.P Extension. Model United Nations is a simulation of the United Nations that aims to educate the students from all the walks of life by awakening their curiosity about current international, political issues, international relations, global relationships, diplomacy and united nation Agenda. It is a dais which provides the young delegates to display their act of diplomacy. This year the conference witnessed participation of about 150 participants from various educational institutions across India. The conference had different committees with diverse agendas ranging from the condition of refugees and migrants cross the world to the discussion on probability of amendment in the article 370 of the Indian Constitution. All committees saw intense debate and put the delegates research and public speaking skills to the ultimate test in these two days. The conference came to an end where the chairman of the school Mr. M.S Rawat, addressed the gathering and talked about the global issues which are required to resolve on immediate basis. People from all over the world expect the leaders to take effective and instantaneous decisions to curb the issues. He also underlined that such kind of platform gives the students an opportunity to express themselves and to enhance their knowledge on international affairs. The award ceremony followed and ensured that every skill displayed by the delegates was duly recognized and appreciated by giving out awards like Best Delegate, High commodation and special mentions. The conference concluded with overwhelming response from the delegates. जेेएनयू के कथित बुद्धिजीवियों और दलित विचारकों ने अपना रखी है वामपंथ प्रायोजित भारत विखण्डन की नीति!